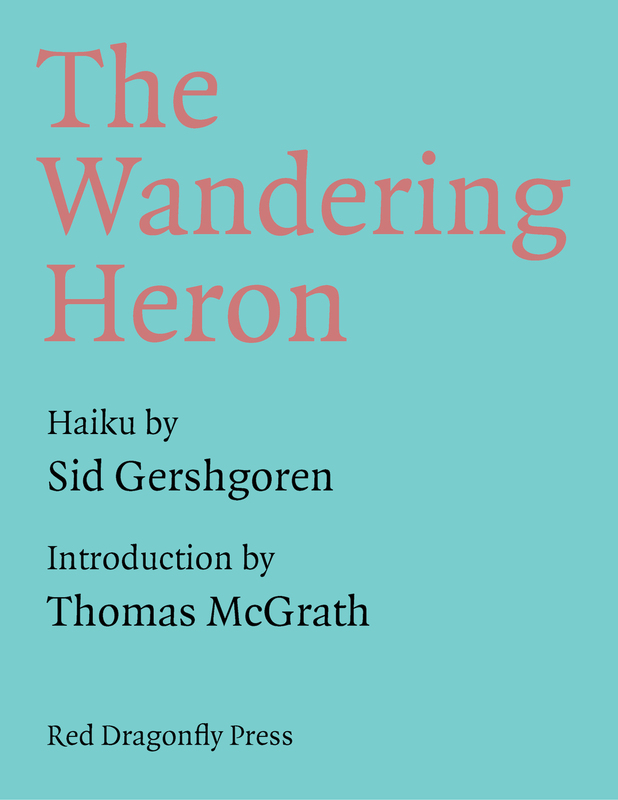 The Wandering Heron by Sid Gershgoren, with an introduction by Thomas McGrath, is now available as an ebook. This book was first published in 1999 as a limited edition, letterpress book, hand-bound in a Japanese style. Unfortunately, this title has been unavailable for many years. It’s my hope that these wonderful haiku by Gershgoren and the introductory essay by McGrath can now travel farther afield, on e-wings, to find new readers. E-book conversion and coding has been done in house and by hand to ensure proper formatting of poetry and a clean reading page. How bout a free sample? The sample you get from iBooks stops just before you get anything of substance, how disappointing. Here’s an excerpt from McGrath’s introduction, which I think applies to his own small poems as well as Gershgoren’s haiku. “But why haiku? And why haiku in traditional forms? Hardly anyone in America writes it, and of those who do there are only a handful who write it in the ‘true spirit’ of Basho, Issa, Shiki, Buson—the Great Japanese. The reason may lie in the diffusiveness of much American poetry, often without rhythm, with hardly memorable lines and significant language (perhaps the last poet to have them was Dylan Thomas) and the emptiness of direct, bodily contact with the world. Perhaps we might consider Gershgoren’s efforts in this direction an instinctive protest rather than a consciously planned assault on the crumbling tools of language. “And there is another problem. English, unlike Japanese, does not lend itself to the 5-7-5 syllable form. First, we are not syllable counters, and four and six syllable lines, when they feel syllabic, might do better. But there seems to be something else, much more obscure, which pulls Gershgoren in this direction. Perhaps a desire to conform to an older tradition? Or perhaps a challenge, often a good idea because it helps in the discovery of New Found Lands.